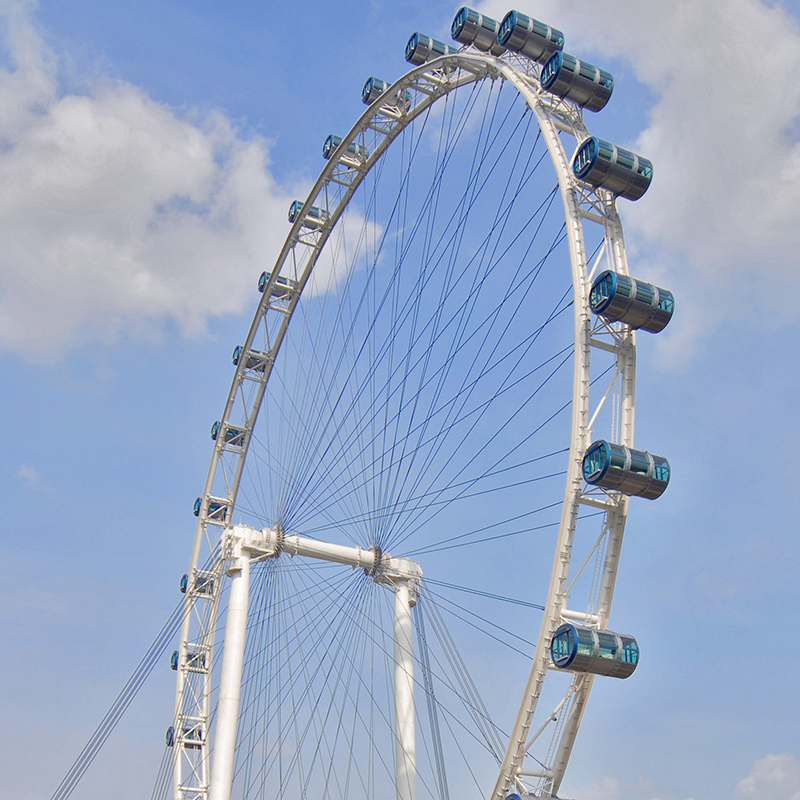 Giant Wheels are huge Ferris wheels seen at most amusement parks and various city skylines. They are tall, rotating circles with multiple passenger cars attached either on the inside or outside of the circle. On some giant wheels, the cars can move independent of the main structure. The first Ferris wheel debuted in 1893 at the World’s Columbian Exposition in Chicago but have since skyrocketed in size and technical possibilities. VAHLE offers dependable solutions for your giant wheels including conductor bar systems for power, SMG for data communication and APOS, an absolute positioning system. We offer over 100 years of knowledge and expertise to ensure your giant wheels are up and running when needed.